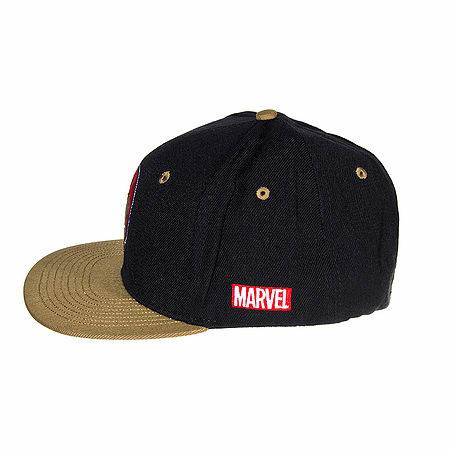 If you're a fan of classic superhero Iron Man, and the action-packed world of Marvel Comics, you might want to display it on your head with this official cap. The heroes unique powers of having a flying robotic battle-suit have helped him in his struggles against such notorious criminals as Iron Monger and the Mandarin. The classic face of Tony Stark's alter-ego occupies the front of the stylish black and gold design. Never-ending in his quest to rid the world of villainy, Iron Man is surely deserving of your cap-based support. 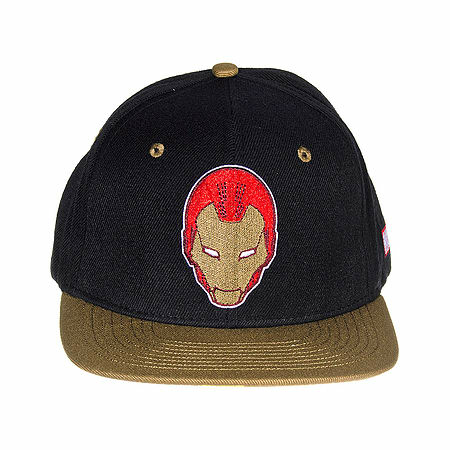 Set yourself apart from the other superhero caps with this Iron Man Classic Cap!